/ Soundproof Curtains – Are They Worth It? Soundproof Curtains – Are They Worth It? For anyone who has any experience trying to record audio from their bedroom or office they'll know how frustrating outside noise can be. It can ruin a recording and add extra work during post production. Even if you aren't recording audio, outside noise can be disturbing enough that it forces you to start looking for solutions. This leads us to consider soundproof curtains. They can be an incredibly cheap alternative to replacing your windows. But do they actually work? The answer is yes! You can expect to get a reduction of around 50% with soundproofing curtains. 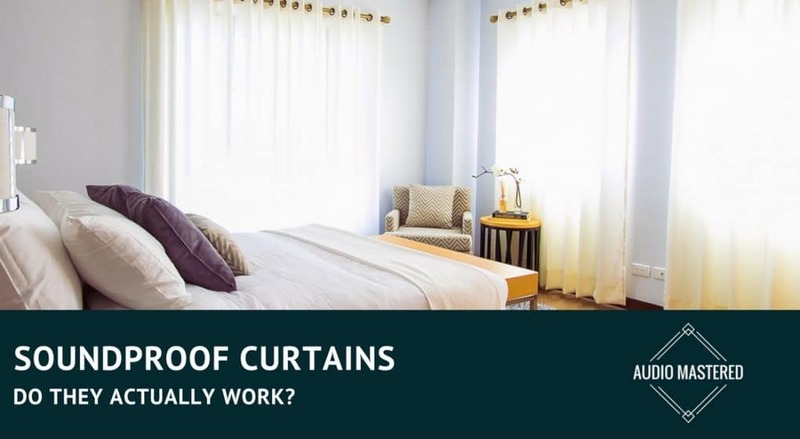 The results are very dependent on which curtain you purchase. Let's cover some of the important considerations you'll need to make if you are buying your curtains for your home studio or just to make your living space more bearable. Before you spend any money, it's a good idea to have a basic understanding of how these curtains are supposed to work. I'll avoid any of the technical details of sound transmission coefficients (STC) and other soundproofing jargon and just stick to the basics. First off, why are windows such a problem when it comes to soundproofing? Well, all it really comes down to is the thickness and mass of the barrier. Check out the image below. Notice how much more material the sound would have to transfer through to get through the average wall compared to a double-pane window? All of the extra insulation and air gaps within the wall stops most of the sound from transferring from the outside to the inside. On the other hand, the sound will easily move between the thin window panes without any trouble at all. This is where the idea of soundproof curtains comes in - they add extra mass to the window barrier. Unfortunately, this is also where most people go wrong. You need a certain style of curtain to have any effect on reducing the outside noise. When you are trying to soundproof a room you typically will focus on first sealing up any air leaks to the outside. This is the main reason why soundproofing curtains aren't as effective as you may hope. While they do provide additional mass between you and the outside world, they aren't completely sealed up against the window. The air gaps between the wall and the curtain provide an easy escape for any outside noise you are trying to trap. Heavy curtains do provide some value. The added mass of the curtain will absorb some of the incoming sound. This will lower the volume of any noises you are hearing from the outside. As you may have guessed, the heavier the better. They also improve the internal dampening of the room. Have you ever noticed how poorly speakers sound if you play them in a room without furniture? This is because the sound is free to reverberate off of the walls and interfere with the sound that is being produced by the speaker. If you were to fill the same room with a couple of couches, wall hangings, and other pieces of furniture, you would drastically change the sound quality of the room. This is why adding a heavy set of curtains can have such a noticeable impact. Curtains work by using the sample principle as the foam panels and bass traps you see in professional studios. You want something to absorb the sound energy of any reverberations bouncing off the walls. The thicker the better. 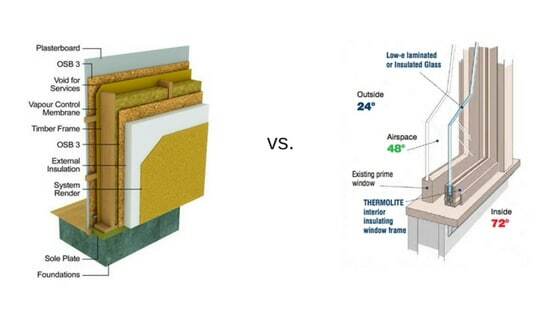 There are a few options available to you for soundproofing your windows. The first option is to purchase soundproof specific windows. These will typically cost over $1000 not including the installation. This is the recommended option for those who are looking to build their own professional studio. Alternatively, you can use what is called a window plug. A window plug is a soundproof foam designed to block, reflect, and absorb sound. You can purchase specifically designed window plugs or just make them yourself. Find some dense foam that is about 2'' thick and measure the dimensions of your window frame. Cut the foam approximately 1-1/2" greater than the width and 1-1/2" greater than the length of your frame. Then, squeeze in the foam block anytime you want to cut out the outside noise. For anyone who isn't concerned with studio quality soundproofing, a set of curtains is likely your cheapest option. Look for curtains that have the highest density possible. The more mass you have, the more sound you are going to absorb. If possible, the curtains should secure tightly around your entire window frame. This is the best case scenario. If you don't like the idea of curtains that seal against your frame then be sure to buy curtains long enough to cover as much area as possible. The first set of curtains I recommend are the Soundproof Curtains from Residential Acoustic. 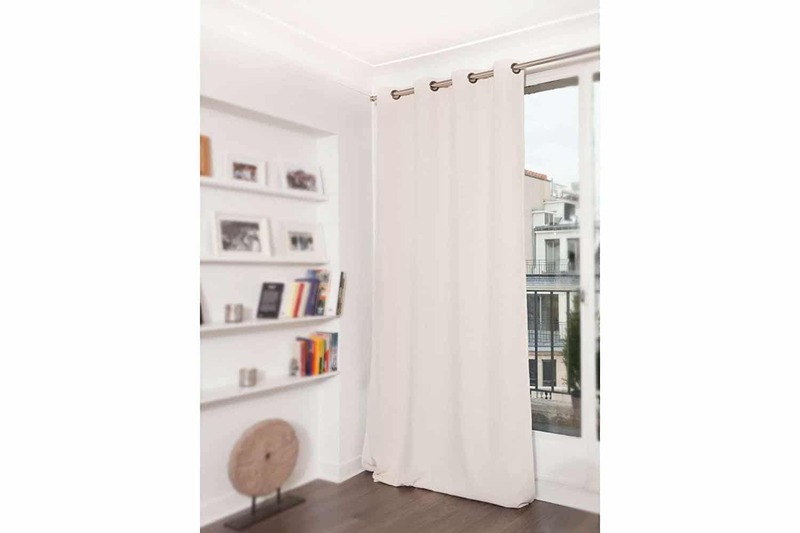 These curtains tightly seal against your window frame and are made out of a dense canvas fiber. You can expect up to a 50-75% reduction in outside noise. Note that these won't have as large of an effect on the sound dampening in your room as compared to larger hanging curtains. If you aren't looking for curtains that are attached to your frame, I recommend the Soundproof Curtains offered by Moondream. 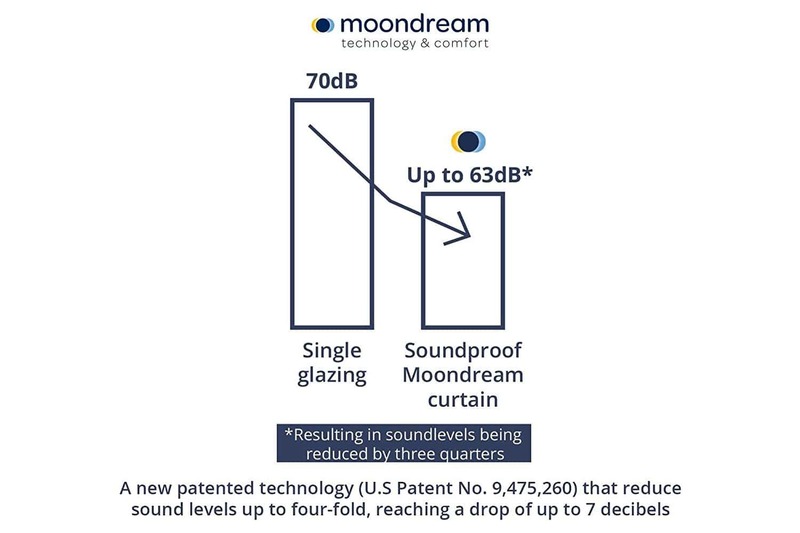 Moondream advertises that these curtains will reduce the outside noise by up to 75%. However, I'm slightly skeptical, but you should still see a nice reduction in outside noise. Finally, if you are really on a budget, you can check out the Nicetown Blackout curtains. They are some of the best selling blackout curtains on Amazon. If you do go this route, you may want to consider purchasing double the amount of panels. This way you can increase your density even more. You can expect a reduction in sound of around 30% with these curtains. Remember, the idea here is to absorb as much sound as possible. This means the more mass and more density the better. Just keep that in mind when you are making your final selection. As you can see above, there are two reasonable options that are going to cut down on the outside noise. These will be perfect for anyone looking to soundproof their child's room or wants to cut down on the noise outside of their office. 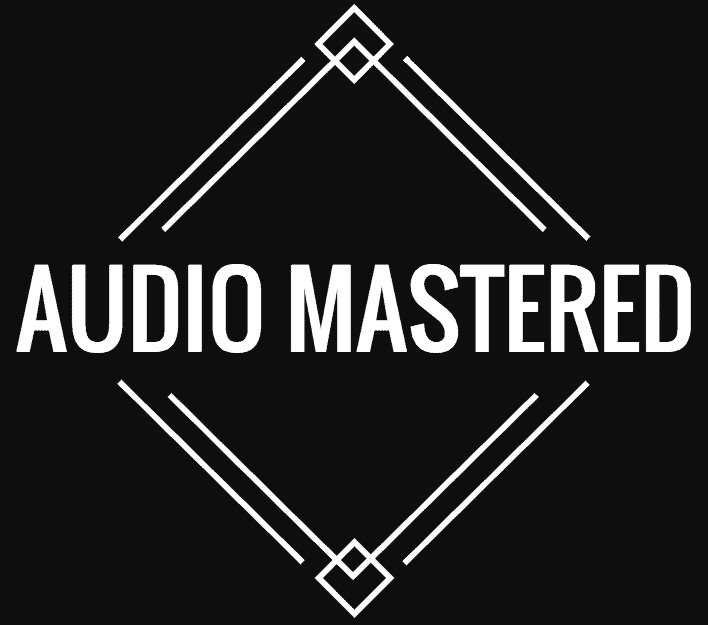 Anyone looking to do professional sound recording is going to want to invest in other options - such as the window plug or the soundproof windows. Do you have any other tips for sound deadening curtains? Leave them in the comments below!